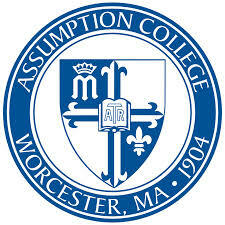 Assumption offers a classic liberal arts education and strong business and professional programs. Our students are exposed to an array of disciplines that expand their minds and enhance their critical thinking skills as they consider new ideas, new ways of looking at the world, and new ways of questioning. Faculty members create an academically stimulating environment that challenges students to achieve their full potential as they think through their values and life. At the same time, the skills students learn at Assumption also prepare them for successful and rewarding careers.